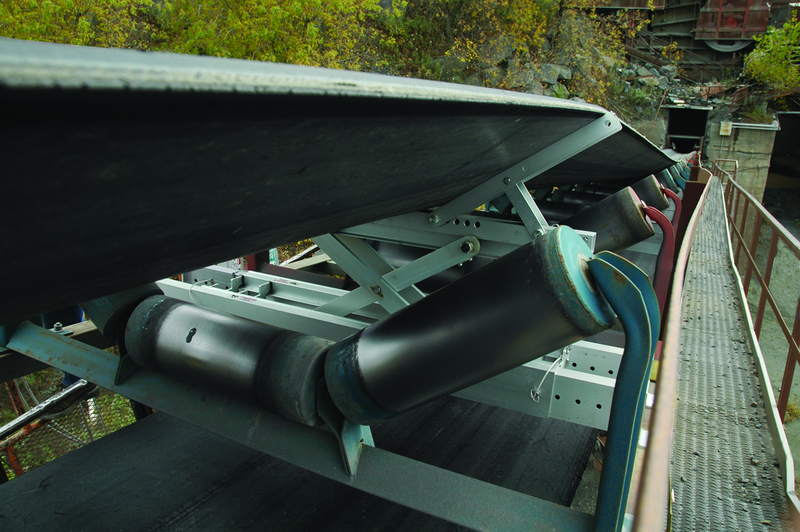 Flexco has developed an innovative device for the ergonomic maintenance of conveyor belts in coal mines, steelworks and wood-processing mills. The Flexlifter enables service personnel to hoist the tensioned belt on the system to the required height without physical exertion. The belt lifter can be loaded with up to three tonnes and is available in three sizes. And because of its particularly lightweight construction, the technician can move it about with ease. 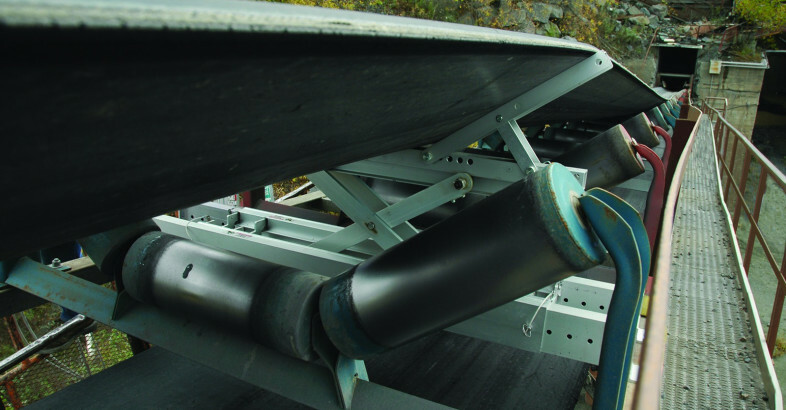 Depending on the application, conveyor belt systems transport heavy, pointed or sharp-edged materials. In doing so, they are subjected to dirt and dust as well as atmospheric conditions such as temperature variations, moisture and sunshine. Under these conditions, belts have to be regularly maintained to avoid premature machine failures and to ensure availability at all times. To enable technicians to renew connectors, for example, or to replace tension rollers, they raise the conveyor belt at the appropriate point on the system to a suitable height. This work is not only accompanied by a significant risk of injury. It takes time and is physically very strenuous. With the Flexlifter, the Flexco range now includes an ergonomic belt lifter for this gruelling activity. The device is available in three sizes: “Medium” for belt widths from 900 to 1,500 mm, “Large” for 1,200 to 1,800 mm and “XL” for 1,800 to 2,400 mm. The largest version can accommodate up to 2,700 kg. Being made of anodised aluminium, the belt lifter is particularly lightweight and resistant. It is therefore easy for the user to transport and position on the conveyor belt. The powerful scissor lift platform raises the belt safely to a height of 350 to 400 mm without damaging the belt. If more height is required, the Flexlifter can be fitted with extendable feet. After assembly, these rest securely on the conveyor structure. The personnel can now slide the belt lifter over the conveyor belt and position it at right angles on the system. The Flexlifter can be used on both the top belt and on the return belt. To raise the belt to the required height, the technician operates the Flexlifter with a manual ratchet or hammer drill. The belt lifter is fitted with a two-rail system in order to handle the high loads safely and stably. To enable operators to use the Flexlifter even in the exceptional conditions found in underground mines – such as Arctic cold or extreme heat – Flexco also supplies the components designed to CEMA standard.